“A leading immigration and public law barrister. She has a broad practice and is particularly adept at handling deportation and trafficking cases for vulnerable clients. She offers a breadth of knowledge in cases concerning statelessness and nationality law. Head of the Immigration Team, KBW Chambers. As head of the Immigration Law Team at KBW Chambers, Roxanne acts for the asylum/immigration claimant/applicant at all levels of the Tribunal (IAC) and higher courts with particular emphasis on judicial review work in the Upper Tribunal. 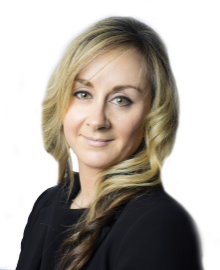 Roxanne specialises in cases involving victims of modern slavery and those subject to deportation orders. Having commenced her practice in this field in London, Roxanne has considerable and varied experience in making applications to and appearing before the Court of Appeal. Roxanne appears regularly before the Upper Tribunal on Judicial Review applications: an extensive practice including obtaining out of hours injunctions and preparation of Pre Action Protocol Letters. Roxanne undertakes the full range of work in the Immigration and Asylum Chamber (First-tier and Upper Tribunal) presenting appeals on asylum, deportation, in-country immigration and entry clearance matters. She is always happy to advise in the preparation of these cases. Roxanne has in the past specialised in dealing with asylum claims from Iraq, Sri Lanka, Eritrea and Ethiopia however she can be relied on to be up to date on the country situation of any Claimant she is asked to represent. Roxanne is regularly asked to advise on family law proceedings with an immigration aspect on behalf of all parties or one party specifically (including Local Authorities): the impact of on-going contact proceedings in deportation/human rights appeals and the rights of other family members, typically children or a parent, and the impact of immigration decisions upon their rights. As a member of the Attorney General’s Regional Immigration Panel, Roxanne frequently appeared in the Administrative Court and Upper Tribunal both at the oral permission and substantive hearing stages of judicial review claims. As a result of her practice in this area of the law, Roxanne has forensic experience of arguments run under the Human Rights Act and is passionate about the same. Roxanne offers total commitment to those who she represents. R (oao) GXR v SSHD  (UTIAC) A matter involving an alleged victim of trafficking. Aspects of the challenge sought to impugn part of the Secretary of State for the Home Department’s practical ‘Guidance to Competent Bodies’, the published policy document through which the SSHD complies with her international obligations to potential victims of trafficking, thus making the case of wider public importance. The Claim involves consideration of extensive medical and Metropolitan Police evidence. R (oao) Saudoun v SSHD  (UTIAC) A judicial review claim concerning a foreign criminal who applied to revoke the deportation order made against him on the basis that he is at risk on return to Iraq owing, primarily, to the absence of a particular document (a CSID card). RN v SSHD  a legally complex case involving cross jurisdictional definitions of ‘parent’ in the context of surrogacy arrangements and the Immigration Rules. VCH v SSHD  (UTIAC) A judicial review action challenging the decision of the SSHD to revoke a Tier 2 Sponsor Licence of a Care Home. This is a niche area of immigration law that is heavily regulated. The jobs of three foreign national workers were at stake in addition to the effective functioning of a care home for the elderly, vulnerable and infirm. The matter involved extensive reference to the regulatory framework and evidence which included many files of care records, meeting logs, medical equipment inventories and job descriptions/structures. R(oao) Shaban v SSHD  (UTIAC) – A case involving successful challenge to the SSHD’s policy of requiring contemporaneous documentation to amend details contained on a Certification of Naturalisation/Registration (ie a birth certificate produced in the year of an applicant’s birth) to amend incorrect details contained on a registration certificate (received upon naturalisation). This claim has wide ranging implications for all individuals who wish to correct either their passport and/or registration certificate but cannot (possibly because they left their country of birth many years ago) produce contemporaneous evidence of the registration of their date of birth or name etc ie from the year of their birth. R(oao) Onyango v SSHD  (UTIAC) – The case for SSHD succeeded when the Claim was withdrawn halfway through the final hearing in light of the view expressed from the Deputy President of the Upper Tribunal, Judge Ockelton. The issue was the application of the public law duty of ‘remedial action’. If C was correct in his claim this would have been tantamount to a finding that the duty is of virtually limitless application with far reaching consequences for SSHD’s decision making processes and would have dramatically affected timely decision making by placing an overwhelming burden on her and those taking decisions on her behalf. LS v SSHD  (UTIAC) – LS was trafficked to the UK and forced in to prostitution. LS fell pregnant and managed to escape when being transported for an enforced abortion. A number of significant issues arose: (i) the sensitive factual nexus required a very careful approach to client care and instructions (ii) the appeal was conducted with a support worker and LS’s 6 week old baby present which required specific management of the hearing (iii) the case raised important issues surrounding the risk on return to Albania for single mothers to illegitimate children (which issue is now the subject of County Guidance in another case). R (oao) Nasseri v SSHD  (UTIAC) – This claim challenged the approach of SSHD to transitional cases caught by the Immigration Rules changes in relation to Article 8 ECHR which came in to force on 9th July 2012. Is a grant of Discretionary Leave (DL) pursuant to the pre 9th July 2012 policy on DL a relevant consideration for the Secretary of State in deciding any application for an extension of that leave after 9th July 2012 where circumstances have changed? Should lawful leave acquired under the old DL policy count towards the ten year route to settlement required under the new regime? R (oao) Mahmoodi & Hanif v SSHD  (UTIAC) – Permission was granted in this complicated matter the issue in which was the Entry Clearance Officer’s (ECO) (and Administrative Reviewer’s) consideration of this entrepreneurial team’s application to enter the UK. Following permission being granted the ECO agreed to consider the application afresh and the decision is awaited. The Claimants’ application for entry clearance comprised over 1000 pages of detailed evidence of company accounts, business plans and personal back accounts. The decision refusing the applications comprised in essence two substantive paragraphs. The decision of the Court in granting permission to move for judicial review sent a clear message to ECOs that Tier 1 (Entrepreneur) Migrant are complicated applications both factually and legally and that full and adequate consideration must be given to all documents submitted and a proper opportunity must be given to deal with all matters arising out of the application at an interview. AYW v SSHD 2012 (IAC) – deportation appeal in circumstances where AYW was a national of Holland. County Guidance case on the risk on return to victims of trafficking from Albania. Successfully represented the Claimant in a claim for judicial review challenging the decision of the Secretary of State to refuse to accept representations on behalf of a Sri Lankan Tamil as amounting to a fresh claim for asylum. Successfully acted for the Appellant before the Court of Appeal at a substantive hearing challenging the application of the policy relating to the use of enforcement action against the parents of children with seven years continual residence in the United Kingdom. Acted for the Claimant: dealing with the risk on return to Sri Lanka for Tamils, cited with authority in the case of NA v The United Kingdom  ECHR 616. Roxanne accepts work on a direct access basis where appropriate. Regularly gives CPD accredited seminars and lectures to solicitors on all matters within this dynamic area of the law. Roxanne started practising in this area of the law from Chambers in London before moving to KBW Chambers in December 2008. Throughout her pupillage Roxanne volunteered at the Immigration Law Clinic at the Hackney Community Law Centre.